Schwarzenegger’s support, according to the Wildlife Conservation Society, comes “not a moment too soon,” particularly in light of a proposed policy rider in the House Interior Appropriations Bill that would undermine efforts by the U.S. Fish and Wildlife Service to thwart the illegal trade of ivory in the United States. 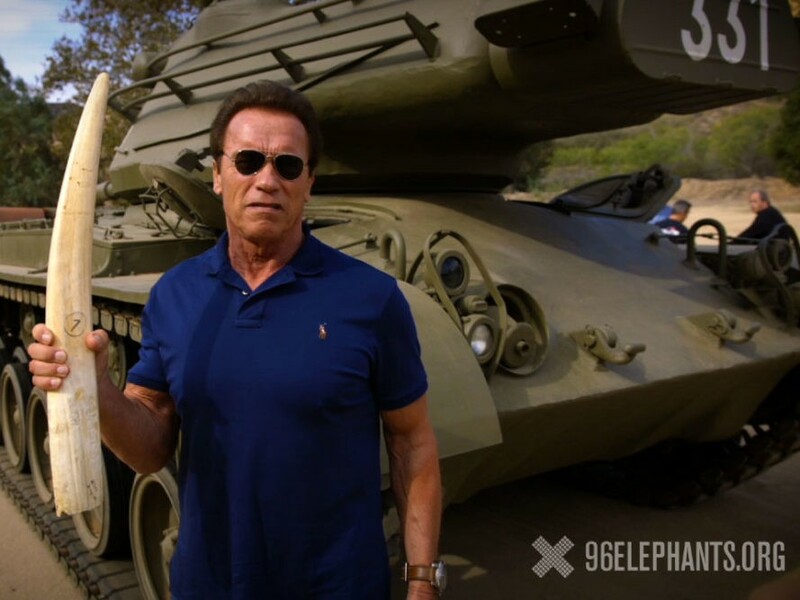 Arnold Schwarzenegger is addressing ivory poaching in the only way he knows how: by blowing stuff up. The actor and former California governor recently "terminated" a piece of elephant tusk in support of the Wildlife Conservation Society and its "96 Elephants" campaign to end illegal poaching. �Stop killing 96 elephants every day just because of this ivory," he said, before detonating an explosive that shatters the tusk, a donation from the Los Angeles Zoo, into a thousand fragments. "Let�s get rid of the demand once and for all."